Susan's Disney Family: Fun Father’s Day gift sets from The Popcorn Factory, great gifts dad will love! Fun Father’s Day gift sets from The Popcorn Factory, great gifts dad will love! Are you looking for a great gift for dad this Father’s Day? How about a popcorn gift? From sweet to savory popcorn is one of my favorite snacks and one of my husband’s favorite as well. If you are looking for an affordable gift for dad, be sure to check out the cool gift sets from The Popcorn Factory. For more than 30 years, The Popcorn Factory has been the “popcorn authority” with our impressive collection of crowd-pleasing gifts and great-tasting snacks. We start with the finest corn grown right here in the USA and transform each kernel into premium popcorn using 100% corn oil and infusions of the very tastiest flavors. 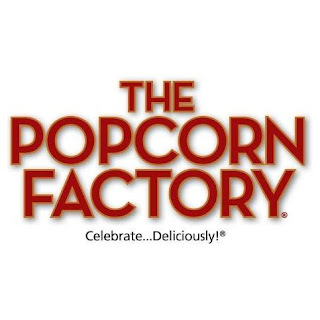 The Popcorn Factory pops over 1 million pounds of popcorn per year in many great tasting gourmet flavors including a premium chef-inspired collection. And all of our popcorn is Kosher OUD. We’ve been in the business of gift-giving for over 30 years delighting customers with delicious, premium popcorn and impressive, all-occasion gift tins, baskets, and towers. In all that time, we’ve remained committed to bringing you a fresh product, unique ideas and above all, complete satisfaction. And we back this guarantee with our Popcorn Promise: You and your recipients must be absolutely delighted! The Man Can Popcorn Tin -What do you get the dad who has everything? 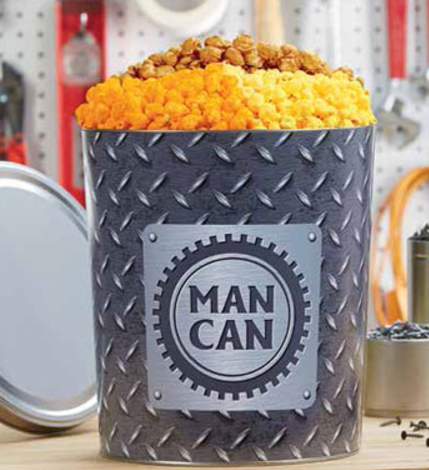 Our Man Can Popcorn tin is perfect for your special popcorn lover. This 3-flavor tin is filled with our three best-selling flavors: Butter, Cheese and Caramel Popcorn. Filled with 56 cups of popcorn. Plenty to share...and plenty delicious! Golf Box -Don’t know what to get your avid golfer? 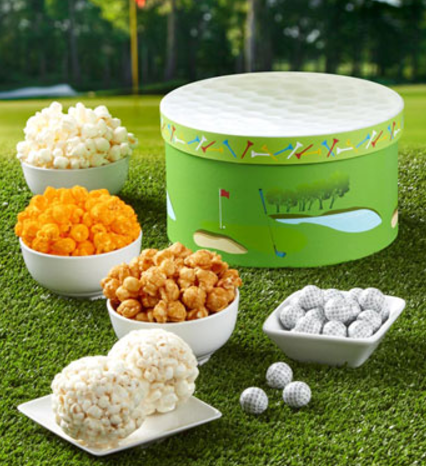 This fun gift box comes with a delectable sampling of The Popcorn Factory treats: Caramel Popcorn, Cheese Popcorn, White Cheddar Popcorn, Foil-Wrapped Chocolate Golf Balls and 2 Popcorn Balls. I was very fortunate to be able to check out the Football Field Tray, all ready for gift giving to that special guy in your life! 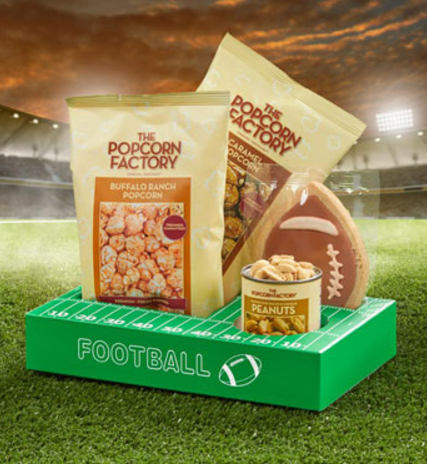 Football Field Tray -Perfect for picnics, barbecues, or any family gathering, our new Football Field Tray comes filled with Caramel Popcorn, Buffalo Ranch Popcorn, Smokehouse Bacon & Cheddar Peanuts, and a Football Cookie. This cute little set comes with all you need to enjoy the watching and snacking with the game. When it comes to sports football is something my husband loves, he watches every game! (or so it seems) He just loves the sport, and really gets into the games, so I knew that the Football Field Tray would be something he would appreciate. My husband loved the sweet caramel popcorn and spicy buffalo ranch popcorn. Some salty peanuts and an adorable football cookie as well. These are all packed in a cool football field tray. Such a fun gift perfect for that dad who loves football! If you are on the lookout for a yummy gift for dad, be sure to check out the great selection of popcorn gifts, at The Popcorn Factory. You will be sure to find something granddad, dad, your hubby or any special guy on your Father’s Day gift list will love! Have you ever tried any popcorn from The Popcorn Factory? I would love to hear about it. The generous folks at The Popcorn Factory are giving one of Susan’s Disney Family readers a chance to win their very own Football Field Tray! Would you like to enter? Please let me know what gift from The Popcorn Factory would be prefect for the special dad in your life and why? There are also other ways to enter, please enter below. One winner will win a Football Field Tray from The Popcorn Factory a $25.00 arv. My Dad loves popcorn and he would love getting a popcorn gift pack fro the Popcorn factory. 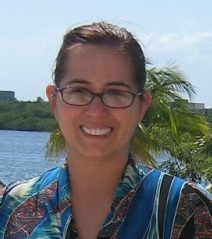 I will have to check out their site! The Man Can Popcorn Tin would be perfect. It's masculine and it's popcorn - what more does a guy need! Love the Fun with snacks tower. He is a big fan of the Giants so I think he would love the New York Giants 3-Flavor Popcorn Tin. My dad would love the Golf Box Sampler! I think my husband might enjoy one of the Snack Boxes. I like the Minnesota Twins 3-Flavor Popcorn Tins for my Dad. The Man Can Tower would be perfect for the special dad in my life. He likes variety. My husband would love to get the Plaid and Stripes Tin & Tower because he loves to eat popcorn. I think the "Plaid and Stripes Tin & Tower" would be nice for Father's Day. My husband & my dad would both enjoy the Tennessee Titans 3-Flavor Popcorn Tins! RealTree APG Camo Popcorn Bucket with Seat Lid and also the Bacon Lovers Box. Would love to win the Golf Set! So cool! Thanks for the giveaway! I would get the 18 Pack Popcorn Sampler for my husband who is a great dad to our daughter because he loves trying new flavors! My dad would love the The Man Can Tower since it has popcorn, peanuts, pretzels and cookies! My dad would enjoy the Patriotic Kettle gift. He often speaks of having kettle corn as a child and how he enjoyed it! Plaid and Stripes Sampler would be great for my husband,he can share with the Grandkids when they come over to play board games. I would love to gift dad The Man Can Tower. It looks delicious! The football field tray would be perfect for my dad because he's all about football! My hubby would love the Man Can Tower!